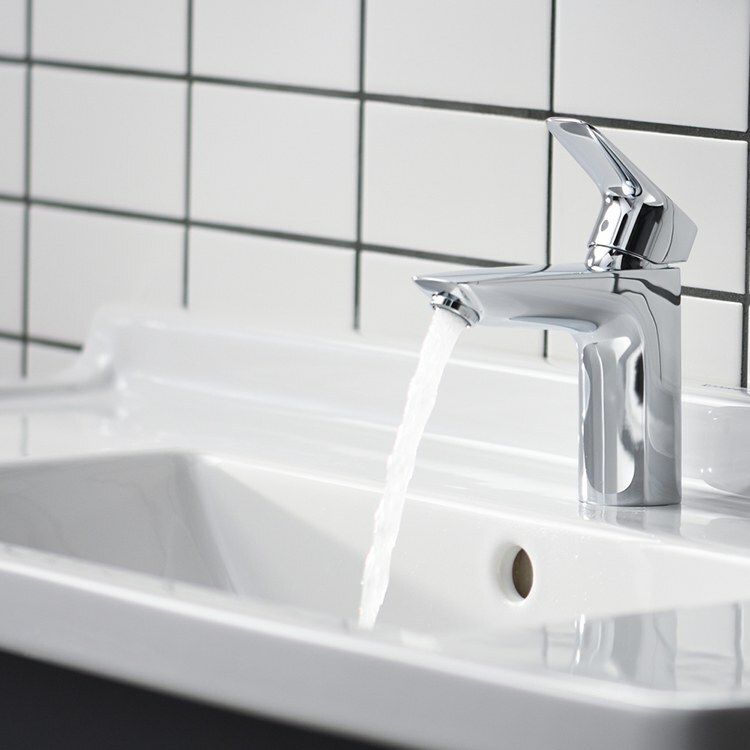 The Logis 100 bathroom faucet uses EcoRight technology with a sophisticated flow limited, special jets, and an infusion of air into the water to create a fuller flow using 60% less water than standard fixtures. 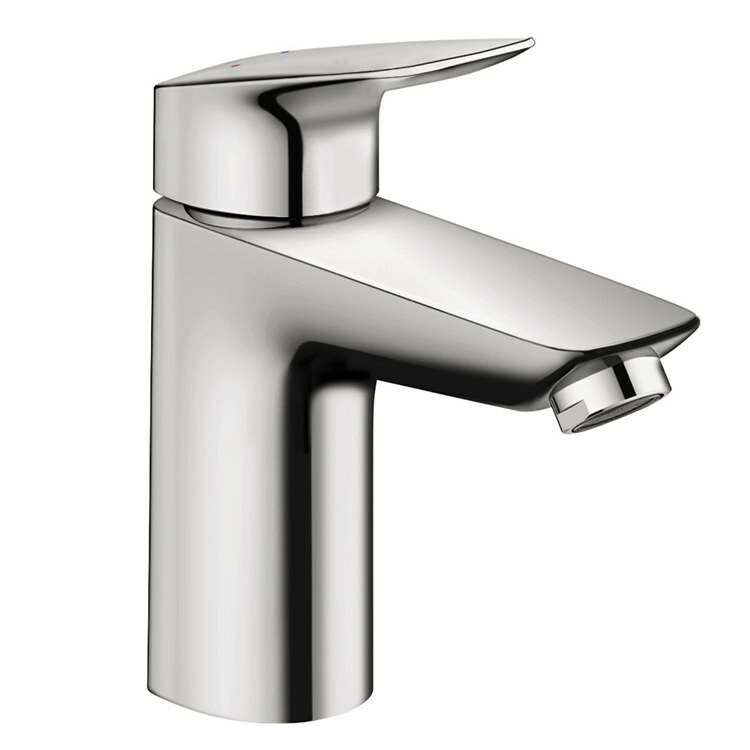 Features a single lever handle for ease of use. 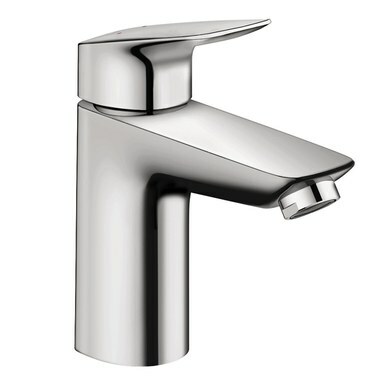 The faucet measures 6-3/8" high with a 4-1/4" spout reach. Mounts in single-hole applications in decks up to 1-5/8" thick. 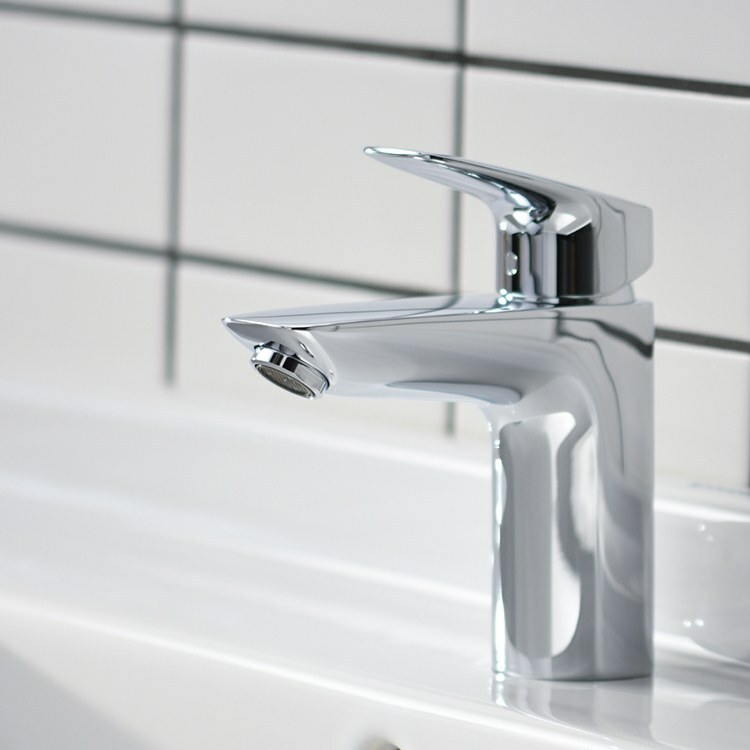 Includes a pop-up drain assembly.